I look at the questions here and see what is taught to us by the mainstream propaganda: non-degradable plastic is unsustainable and, thus, we must prefer the biodegradable one. But let us consider the full cycle. What are biodegradable plastics made of? Are they made of the oil, as non-biodegradable? If so, then what is the benefit of degrading more oil? Is turning the oil into biocompost considered sustainable now? RRR stands for Reduce Reuse Recycle. Is there any cycle there to stick the cycle stickers? I mean that we should have the garbage sorting and recycling facilities used everywhere, which can recycle non-biodegradable materials as well. Should we still make everything of biodegradable materials? I see two main aspects to the answer. 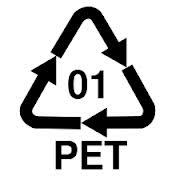 First, for a disposable object it's better to use a biodegradable plastic than one that is effectively permanent so that after the disposable object is used it doesn't stick around. That's true even if the biodegradable plastic is made from equally unsustainable materials. Our seas are already full of disposable plastic items, and this is a way to reduce the scale of that problem. Lastly, not all plastic substitutes are plastic. It's possible to buy many disposable items made from wood (often bamboo, like the ubiquitous plates and cutlery) or buy a non-disposable alternative (like a pottery coffee cup). edit: "recycling" plastics often means down-cycling them significantly (eg food-grade plastic to a park bench), and recycling often means shipping them to China to be sorted and cleaned in horrible conditions. So (as usual) there's a hierarchy of best to worst for each use, and some uses can be substituted (the best disposable coffee cup is not as good as the best reused one, for example). And often the behaviour of the user is a key part of it (buying new "reusable" bags at the supermarket every time you shop defeats the point). Even biodegradable items generally need something in order to biodegrade, whether that's sunlight, water, or some living thing to eat them. Generally rubbish is buried or incinerated, which means that biodegradable stuff quite likely will not get the chance to do that (methane emissions from landfills come from biodegradable stuff breaking down long after it's buried, for example). So unless your recycler collects and separates the biodegradable items and either sends them to someone who can recycle them (in which case them being biodegradable doesn't actually matter) or else composts them, they're likely to be considered non-recyclable and sent to landfill. I fear that composting counts as recycling to many people, but IMO it's an examplar of why "recycling" is the worst option in the three R's. In some ways it's a nice clean cycle: plants to bioplastic to useful thing to compost to more plants. Hooray! Unfortunately every step along that path probably involves consuming non-renewable resources (farms use oil, for example). It's much better to make something once and use it for as long as possible. The three R's are the basis of this, and the main point is that recycling is the last, least favoured option. Reduce, reuse, then if you can't do anything else, recycle. Truly biodegradable plastics exist, where the actual plastic molecule or long chain is engineered to have weak spots which are broken so the plastic material ceases to exist in its original form. What it becomes depends on the design of the material. Many so-called biodegradable plastics, perhaps the majority, are essentially no more so longer term than are conventional plastics. Any plastic which does not have its molecule, as opposed to its mechanical structure fully broken down by natural processes is mainly a cosmetic illusion and so is not 'sustainable' at all. 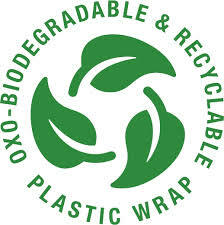 It is little acknowledged that many so called biodegradable plastics are not genuinely biodegradable. When e.g. starch is used as a component of the plastic film the film will breakdown over time. Months to a few years depending on UV level and other factors. But, all that is happening, is that the film is being mechanically decomposed - much as if it had been mechanically 'granulated'. The plastic remains in fine powder form and, if enough of out plastic was produced in this manner many of the existing problems would remain. You will not get gross choking of animals or blockage of drains etc from large portions once the breakdown has occurred, but the passive bulk of plastic remains. Even plastics that do decompose fully are hardly sustainable in anything other than the ultra long term. As hydrocarbons form the feedstock for most plastics, a product is not truly sustainable until a cycle is achieved where the decomposed products again become part of the cycle of production. Having decomposed plastics start to form oil deposits by natural means is not something anyone alive will ever see. Means exist to artificially produce hydrocarbons from selected plastics, and this process may be sustainable in some cases. Not the answer you're looking for? Browse other questions tagged recycling plastic biodegradable-waste or ask your own question.